French May wheat futures prices have continued to fall since March and have been edging even lower this week, trading at €163.50 within €0.5 of contract lows, compared to UK May futures which are trading at about £27/t above contract lows. Converting UK May wheat futures to €, means that UK wheat is €172.50/t, the €9 difference (€172.50-€163.50) from the Matif being the largest amount so far that UK wheat has exceeded French May futures. This difference makes French imports into the northern UK possible, if not inevitable. About 30 years ago we had a similar year, when we over-exported our wheat, then had to import from France later in the season; an Italian colleague commented that we had sent our wheat 'on holiday'. It is notable that the Open Interest on the Liffe is equivalent to 370,000t of wheat on the May contract, so some buyers may opt to take physical delivery; whilst the Matif May futures contract has 6.6mt (about 25% of the French crop) with a month left until expiry. There is a small incentive of €1/month on the Matif to carry the wheat forward into next year, but it is still a lot of wheat to unravel in 4 weeks. In the US wheat is trading at around $4.2/b a little above the lows of $4.1/b that were seen in December, but much lower than the recent high of $4.70 seen in February when fears of drought incentivised the funds to buy all our commodities. In the main, those fears have subsided with the rains, and both the funds and the trade are staring at a recent history of record crops, record stocks, and potential new records this coming harvest year. Argentina is expected to produce about 37.5mt this year (29mt last year) of which 15% is harvested (18% last year). Perhaps EU farmers are a little more reactive, but it seems that last year the EU harvested 160mt wheat, and this year are expected to produce only 145mt. FranceAgriMer estimate that 90% of the French feed wheat crop was in good/excellent condition, and that their maize planting was 6% complete as of Monday. The tiff between Russia and Turkey is still on-going, where Turkey is refusing to unload Russian agricultural produce and is buying instead from non-Russian Black Sea sources and from Hungary. It seems that no early resolution is expected as Russia has just lowered its export projections. The funds sold heavily prior to last week’s USDA report and with the exception of the soya complex, the prices of agricultural commodities have not fallen significantly. The main thrust of last week’s USDA plantings report was that US farmers intend to increase their soya acreage to a record 89.5m; more than the 88.2m acres the market expected, and more than the 88m acres suggested at the USDA Outlook Conference; which pushed the Chicago May futures to its lowest since April 2016. 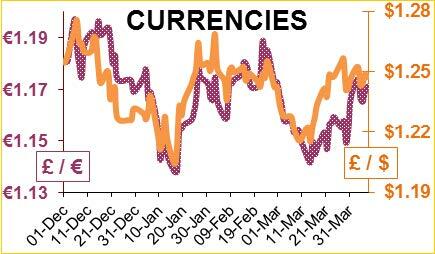 The price action may also be a result of the increasing soya stocks in the world. In South America, the Brazilian soya harvest is about 80% complete, with the northern states of Mato Grosso and Goias (bordering the Amazon) finished, and the southernmost state of Rio Grande do Sul about 35% complete; their total harvest is estimated at 107-113mt. In the main soya area, the Argentinean soya harvest is 8% complete slightly behind normal (5-year average 21%) due to rain, and they expect to harvest 56.5mt. GM soya is about £302/t delivered to the mill. 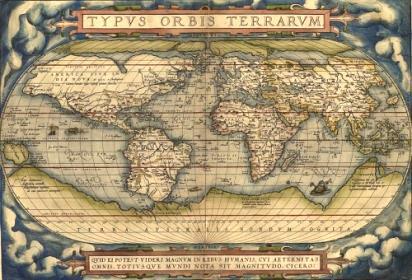 The Atlas ‘Theatrum Orbis Terrarum’ was compiled by a Flemish cartographer, Abraham Ortelius (1527-1598), was published in 1572 and was the world’s first modern atlas. Sotherby’s expect it to sell for £60k next month. 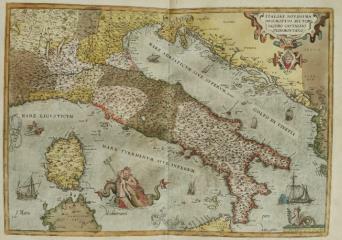 Ortelius is also believed to be the first person to imagine that the continents were originally joined together before drifting apart. Later Alfred Wegener (1880-1930) a German geologist published his theory that all the land masses were one island which he called Pangaea, which drifted apart into separate Continents.